"The ultimate laptop." "The most powerful Surface ever." "Infinitely breathtaking." Microsoft isn't mincing its words when it comes to marketing the Surface Book 2, but there's work to be done if this second-generation machine is to reach its full potential. 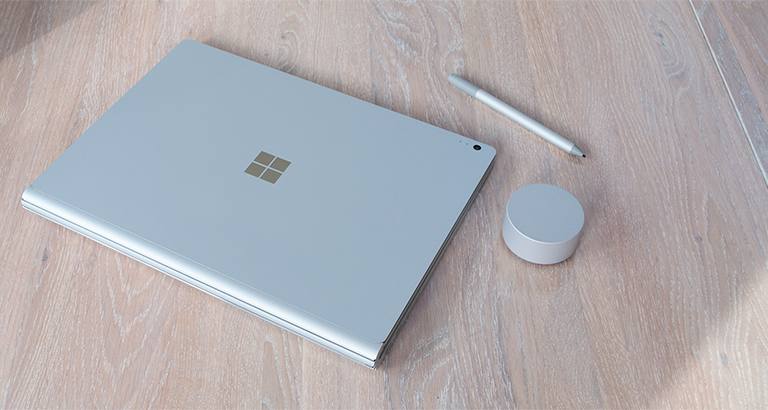 First unveiled way back in October 2015, Surface Book had many of us grinning when Panos Panay revealed the device's hybrid nature by detaching the so-called Clipboard. But then came news of middling graphics performance, the absence of USB Type-C and a somewhat wobbly display. 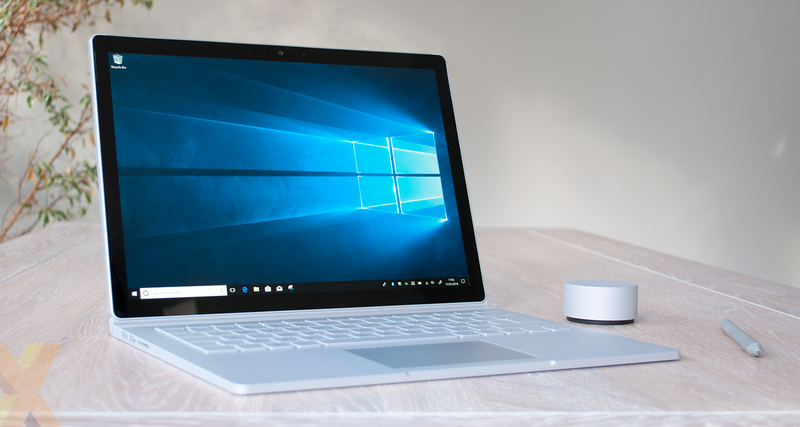 Fortunately for fans of the original concept, the Surface team has been working to perfect those perceived wrongs and has edged closer to perfection with the refreshed Surface Book 2. From the outside, you'd be hard-pushed to tell the difference, but that's no bad thing. Microsoft has maintained a consistent design language throughout the Surface range and the fact that you know a Book when you see one is a positive. The gap when folded between the lid and keyboard has always divided audiences, but we quite like the unique appearance and there are other attractions; the gap keeps the keys from touching the screen and the way in which the "dynamic fulcrum hinge" curves like the spine of a book is really quite beautiful. We'd go as far as to say Surface Book is the most attractive laptop design currently on the market. And not for all the usual reasons. It is by no means the thinnest PC in its class, measuring 23mm at its thickest point, and there's a fair bit of heft, with the entry-level Book 2 tipping the scales at just over 1.5kg. Yet what makes it feel particularly exquisite is the build quality and attention to detail. The all-metal chassis is as rigid as they come, the edges look sharp but are subtly rounded for comfort, the matte silver paintwork is gorgeous and seemingly immune to fingerprints, and there appear to be improvements to the docking mechanism. The clipboard attaches with a satisfying thunk and though there's still a small amount of wobble, it seems to be far less prominent. 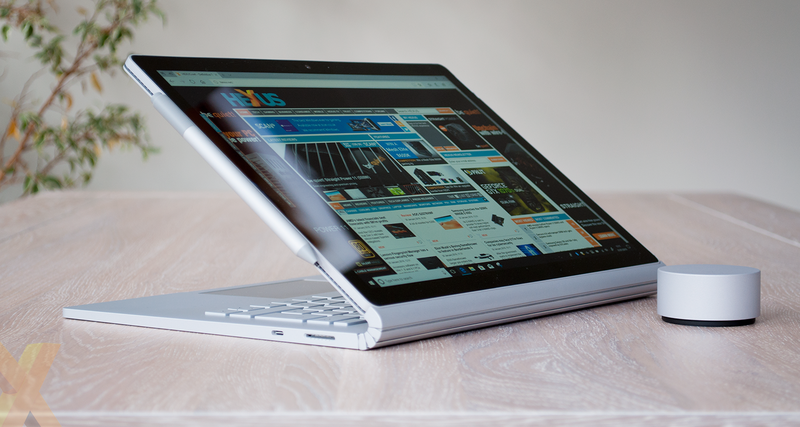 Surface Book is undoubtedly beautiful, but what are the significant changes for Gen 2? Appreciating that Surface Pro and Surface Laptop cater for the portable, ultra-thin and light markets, Microsoft has positioned Surface Book 2 at the top of the pile with hardware upgrades that can achieve desktop replacement status. For the first time, Surface Book is offered with a new 15in display, in addition to the existing 13.5in option, and with plenty more power under the hood. Our entry-level 13.5in review sample, priced at £1,499, comes equipped with a 7th generation, dual-core Intel Core i5-7300U, 8GB of memory, a 256GB SSD and integrated Intel HD 620 graphics. The smaller machine can be configured with an 8th generation, quad-core Intel Core i7-8650U and dedicated GeForce GTX 1050 graphics at a cost or £1,999, but in all honestly it is the 15in powerhouse that has us intrigued. Said machine offers the quad-core Intel CPU allied to GeForce GTX 1060 graphics and 16GB of memory at a cost of £2,349. A serious chunk of change, but the combination of hardware promises plenty of all-round goodness in a very tidy package. There are other noteworthy changes, too. The 15in model includes built-in support for Xbox Wireless, allowing the use of Xbox One accessories without any additional dongles, and Microsoft has finally taken the plunge and added USB Type-C to every Surface Book 2. Connectivity now includes two USB 3.0 Type-A ports on the left, alongside a full-size card reader, with Surface Connect and USB Type-C on the right. A step forward? Perhaps, although Microsoft continues to drag its heels in some regards. We like the fact that Surface Connect has been retained to ensure compatibility with existing chargers and peripherals, however DisplayPort has fallen by the wayside and the USB Type-C port doesn't support Thunderbolt 3. The latter is a strange omission on a prosumer device at this price point, and takes away the ability to attach an external GPU or a couple of daisy-chained 4K displays.